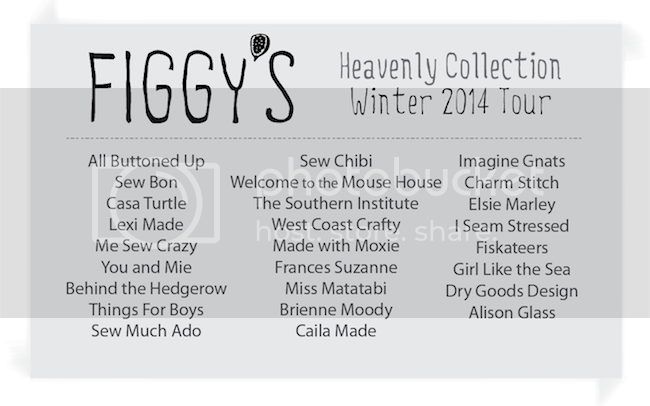 It is with great pleasure that we introduce you to our Figgy's Spring and Summer line. A Royal Navy term for a short period of rest and relaxation. you through any season and will work equally well for boys and girls! tee or choose between a girls slim fit handkerchief hem or tunic length tee. tips for wovens and knits! The constellation of winds blowing hot air from Sahara into Europe. nights. The scent of sunscreen, swimming pools, ice cream and barbecues. Mild winds blowing from the Pacific. A pattern combo that surely fits the famous California lifestyle. Just think about your family strolling down the beach promenade in Venice Beach, your little girl skipping ahead, wearing this adorable romper or breezy sundress. Picking up a sea shell or twenty along the way. The sundress is a quick and simple sew, perfect for a beginning seamstress. The romper however is a little more advanced as it is a little more time consuming especially using the recommended knit body/woven yoke combo. Yet with many trips and tricks sprinkled throughout the instructions, we are sure to help elevate your sewing experience. I hope you enjoyed the little peak at our Spring & Summer line and please come back tomorrow as we begin our PRE-SALE event. Our pre-sale event includes 10% off any purchased pattern. We are scheduled to ship all patterns by May 10, 2012! !